A man must embrace his past — or live with the consequences. Ronald Masterson is haunted by the present, haunted by a past he can’t shake, and haunted by a future with the most horrifically perfect woman imaginable. Because each day he fails to solve the mystery that stalks him, it’s another step down the long spiral staircase of The Insanities, another step towards his fate at the hands of the familial tremor, another step closer to the consequences. 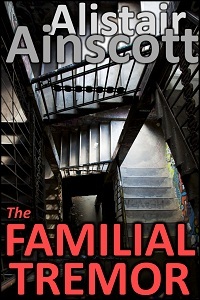 A tale of dark science fiction by Alistair Ainscott.